CHICAGO (WLS) -- A mechanical problem on a CTA Red Line train caused significant delays for other trains on the line Monday morning. A Howard-bound Red Line train was stuck at Granville due to a mechanical problem at about 9:45 a.m. Monday, according to the CTA. Other Howard-bound trains were unable to stop at Lawrence, Argyle, Berwyn, Bryn Mawr, Thorndale, Granville, Loyola, Morse and Jarvis as a result. The CTA had several alternate travel recommendations for commuters until service returns to normal. For customers already at one of the impacted stations hoping to go to Howard, the CTA said to take a 95th-bound train to Wilson and transfer to a Howard-bound train. Customers trying to go southbound should take a Howard-bound train to Howard and then transfer to a 95th-bound train. The CTA was also providing shuttle buses between Wilson and Howard to provide connecting service. 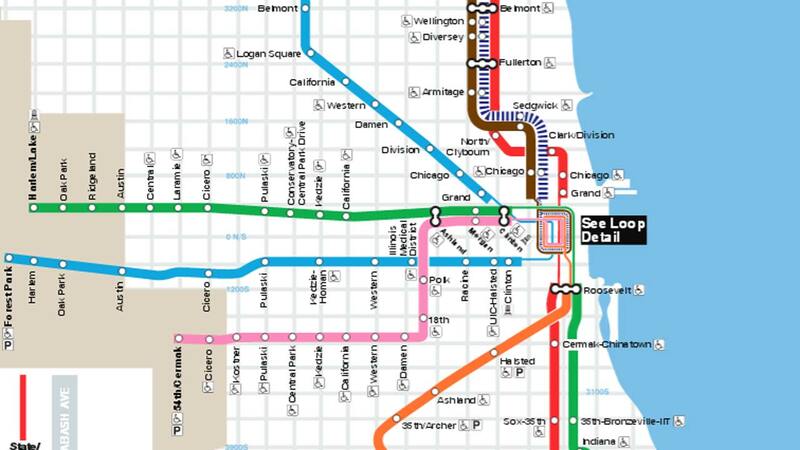 Several other bus lines that the CTA recommended using as alternatives included the #22 Clark, #36 Broadway, #147 Outer Drive Express and #151 Sheridan. Trains resumed stopping at those stations at about 10:35 a.m.